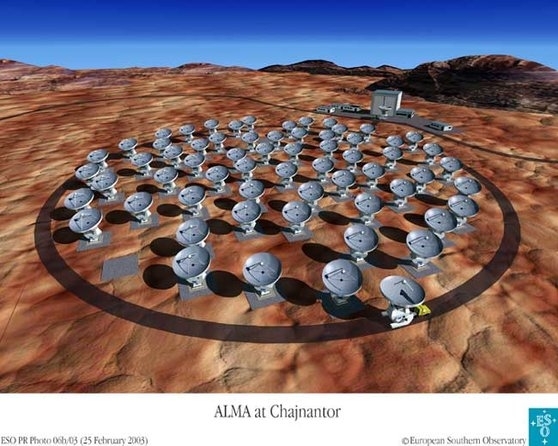 The Atacama Large Millimeter/submillimeter Array (ALMA) is the world’s most powerful observatory for studying the universe at the long-wavelength millimeter and submillimeter range of light. It’s designed to spot some of the most distant, ancient galaxies ever seen, and to probe the areas around young stars for planets in the process of forming.Our November meeting will feature a talk by Doug Scott of the physics department of UBC about ALMA and his work with it. The meeting time is 7:30PM at the Sunshine Coast Arts Centre at 5714 Medusa St. in Sechelt. Hope to see you there.